Like many women, Julie Busha's career decisions have represented the delicate balancing act between work and family. Busha is the owner of the company that makes Slawsa, a condiment that, as it sounds, is a cross between slaw and salsa. Busha has made many sacrifices in order to put her business on the path to success, and she has her hands in all aspects of the company’s operations. Her commitment to hard work and creativity has not only enabled Slawsa to gain national stature, but also makes Busha into a great example for other female business owners. 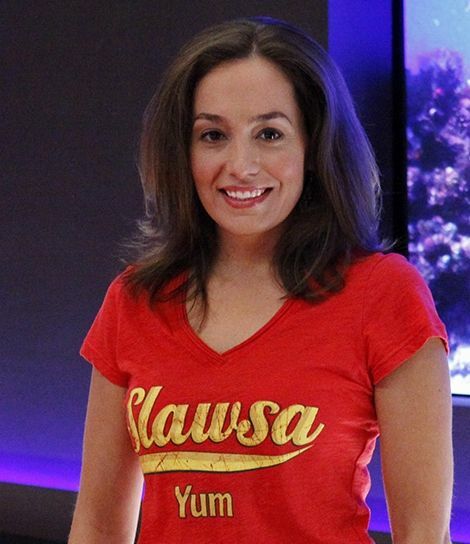 Busha was able to take important knowledge from her time in sports marketing and apply it to Slawsa, which previously had been a fledgling business. “I was very fortunate to have had General Mills as a client of mine over a nine-and-a-half year span, during which I absorbed knowledge of the food and grocery industry,” she says. Her knowledge also gave her the ability to take important risks—for instance, she bought out her partner in the company after he no longer wanted to be an entrepreneur. She’s been able to harness her sports marketing experience to gain more attention for Slawsa—she has teamed up with NASCAR driver Kenny Wallace, who happens to be a big fan of the product. “With the over-saturation of sponsors [in NASCAR], teams can no longer rely on the old way of doing things and now have more responsibility to bring a full-encompassing marketing program to bring return on investment to the sponsor equal to the spend,” Busha explains. “As with every marketing program I execute, I must see a return on investment.” And since Wallace is a big believer in the product—and someone well-known among NASCAR fans, potential Slawsa buyers—there is definitely a chance for major ROI. Even as her company grows, she continues to do much of the work herself—and her efforts are paying off. “People are baffled to hear that I've gotten in over 4,200 stores in less than two years,” she says, “but no one will ever put more pressure on me than what I put on myself. I have never been one to rest on laurels.” Indeed, she knows how to harness new technologies as well; for instance, she’s just launched an Indiegogo campaign, a crowdfunding website, to raise money to fund development of new Slawsa varieties. 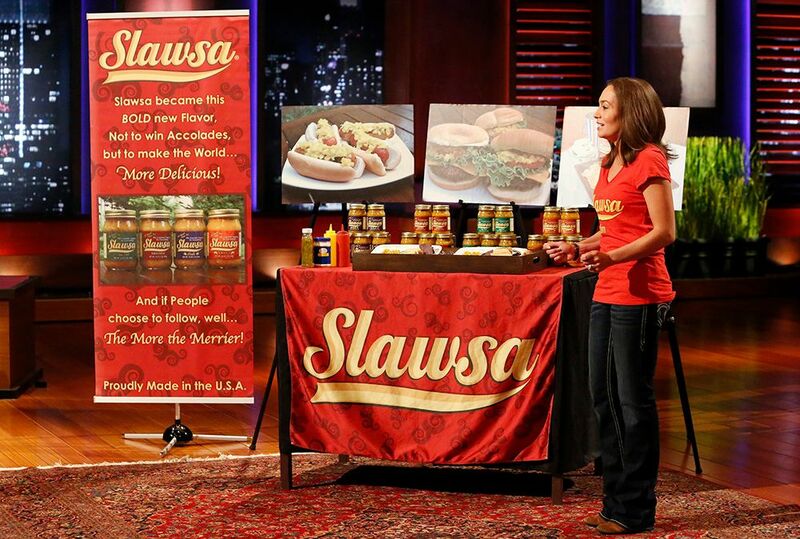 Busha’s efforts have been getting significant national attention of late—on November 15, Busha and Slawsa were featured on the ABC show “Shark Tank.” A reality show now in its fifth season, “Shark Tank” allows small business owners to present their idea and potentially garner the financial backing of the show’s team of investors. The investors were clearly impressed with Busha’s commitment to her product and her willingness to make sacrifices to help her company; one of the show’s investors, Mark Cuban, said of Busha: “The fact that she has no debt, paid off all of her credit cards and saved up enough money to start this company and buy her partner out is an amazing example for everybody.” Indeed, Busha’s story is an inspiration for all aspiring business owners, and for female entrepreneurs in particular. When Ronald Reagan signed the Women’s Business Ownership Act in October 1988, some states still required women to have a male co-signer for a business loan. Today, an era in which women commonly hold full-time jobs and receive the majority of undergraduate and graduate degrees, such a law would be unthinkable. The business field is welcoming to women. Women may still lag behind men when it comes to business ownership—around 28.7 percent of businesses are owned by women, according to Census data. However, given that fewer women have opted to become entrepreneurs in the past, this isn’t at all bad—and with women like Julie Busha leading the way, more and more women are finding success in the business world. Although Busha says she won’t consider Slawsa a success until “I have placement in every grocery store, stadium and hot dog cart in America,” things certainly do seem to be looking up for her business. She maintains that being a woman does not put her at a disadvantage in the business world—she says she’s just as competitive as most men she knows, if not more so. “If you're going to be a woman in any industry, you need to not make excuses,” she says. Fortunately for Busha, in addition to her own innate confidence, she also has a supportive husband—“even though I make 100 percent of my company’s decisions myself, it's great to know your husband is there doing his part so that you can live your dreams with his encouragement.” In her view, it’s the perfect example of a great partnership. Indeed, the examples of female entrepreneurs such as Julie Busha prove that hard work can overcome any barriers that remain. Learn more about Julie Busha at www.slawsa.com.